Clothes dryer not working. KitchenAid Model KEYE665BWH1, serial MD3801078, stock EY665B, Electronic Drynesss Control, Extra Large Capacity/ Heavy Duty. I do my own repairs on this “King of Clothes Dryers”, but this time I cannot figure it out. Just quit working while running. Not the circuit breaker, getting power, as when you push the start button (on any cycle) there is an engerizing humm from the timer dial unit and the start button. Front door trip switch appears to be working. I have opened it up and see no signs of anything failed that left evidence. I have inspected all wires, motor, etc. and all appears visually fine. This is where I am lost as I don’t know how to approach it with a tester in hand, etc. But I am a handy husband and follow orders very well. And if he can give me some pointers, you will sell me parts I am sure. Ahh, yes, the humming dryer console. I know it well. First thing to do is get a couple King of Beers to have handy while you work on your King of Dryers. This repair is not quite two mugs on the SUDS appliance repair rating system. The problem lies in one of two components: the timer or the push-to-start relay. 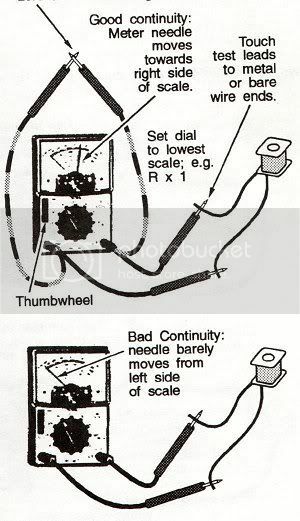 Best way to tell which is the culprit is to check the continuity of the push-to-start relay (or switch) using your ohm meter and the dryer’s wiring diagram. If you need more detailed instructions on how to check out the push-to-start relay, get the repair manual for this dryer. If the push-to-start relay checks out ok, then replace the timer. You’ll be good to go, buddy-row! This entry was posted in Dryer Repair on February 4, 2004 by Samurai Appliance Repair Man.